Hanney Pre-School is a small charity-run group situated in the grounds of St. James Primary School, within a rural setting between the Oxfordshire villages of East and West Hanney. We believe that education should provide a child with the skills he or she will need to make sense of the world, whatever their age. Ofsted says we are 'Good'. 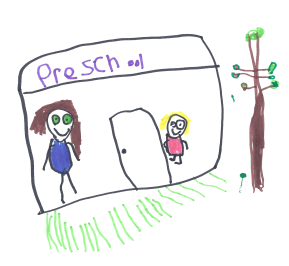 The pre-school is a charity, run by a committee of volunteer parents, in line with guidance and a model constitution from the Pre-school Learning Alliance, of which we are members. We are members of ofsted and compliant with their statutory Early Years Framework, having acheived a rating of 'Good' at our last inspection in 2015. Hanney Pre-School is for children two to five years of age. Please contact our supervisor Amy, if you would like to arrange an appointment to visit Hanney Pre-School and meet our team. You can contact the Pre-School during session times on 07759 181330. All term dates can be found by clicking here or looking on our calendar page.